Organised by the NRF and Enterprise Singapore, the event features exhibitions and activities along themes such as technology, entrepreneurship, venture funding and tech in lifestyle. NAMIC is among one of the exhibitors, who participated with the IHL Hubs: NTU, NUS & SUTD and a start-up, Hitch3DPrint. Hitch3DPrint was established in 2017 to accelerate the adoption of Metal AM technology. They have developed a service based on the concept of hitch where users can now hitch a metal print job at a highly attractive and affordable price. This is set to revolutionize the usage of metal AM technology in this digital age. 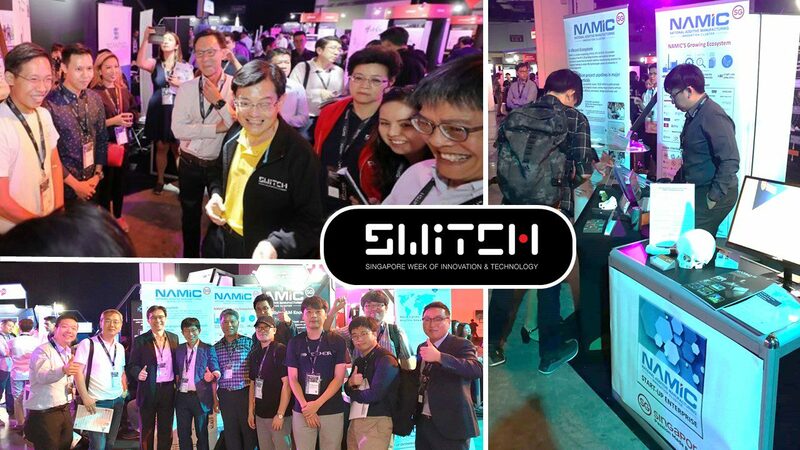 SWITCH was held from 17 to 19 September at Marina Bay Sands Convention Centre and is expected to attract more than 10,000 visitors.